I remember seeing my great uncle Edward C. Stafne for the last time at a party given by my cousin Anne Louise Hawkes in Redmond, Washington. I was in my late twenties. Uncle Edward was in his seventies. I had seen Uncle Ed on and off growing up when Mom, Dad, my brother Todd, and I would take road trips from Bettendorf, Iowa to visit my parents’ parents (Todd and my grandparents) in Minneapolis, Minnesota. Uncle Ed and his wife, and their son Eric Stafne lived in Rochester, Minnesota which was on the way to Minneapolis. Edward Stafne worked at the Mayo Clinic as an oral surgeon. Family lore and a newspaper article I once read stated that Uncle Ed gave a memorial address for each of the Mayo brothers at their funerals. Like most twenty-somethings I did not know my great uncle Ed very well when we talked at Anne’s party in the late seventies. But I did know who he was, because pretty much everyone knew who he was because he had lived a very distinguished life. That day I asked my uncle how he was doing. I remember him telling me that his memory was failing him and that this was very distressing because throughout his life he had always had a very good memory. This was significant to me because I had a good memory which allowed me to excel as a student and young lawyer. In fact the conversation so moved me I wrote this poem shortly after we talked. Now I am closer to Uncle Ed’s age then than I am to my age then. It is hard for me to imagine that; but a quick look in the mirror substantiates that fact. I realize now that there was grace in the way Uncle Ed was aging… was departing from the planet in order to make room for new generations to create a civil society which meets their needs. The “Silent Generation” (people born between 1925 and 1945) and the “Baby Boomers” (those born between 1946 and 1964) have not been so graceful. Many of the people in these generations fight with the natural order of things so that they can control the evolution of the United States through control of its people. This is unfortunate because those generations are on the wrong side of the spiritual warfare which has been ongoing since they assumed authority. America’s “Silent” and “Baby Boomer” generations traded a functioning manufacturing and services economy for one based on debt. Instead of encouraging an economy based on Americans making things, these generations made it so that Americans were just about buying things. Because the middle class lost the value of their labor, the creditor class soon sucked the money most people had into their own stratosphere, where it is not accessible to most of us. Because those who are indebted cannot be free… Those who owe their soul to the “company store” have no inalienable God-given rights because creditors claim to have a first lien position on people’s freedom, families, and property. And in a decision reminiscent of Dred Scott v Sanford the Supreme Court just ruled weeks ago in Henson v Santander Consumer that debt buyers (i.e. 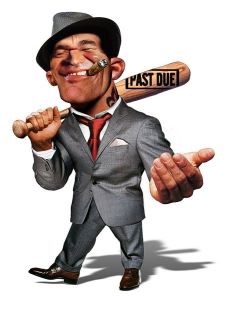 corporations that purchase debt for pennies on the dollar) can use unfair and unconscionable debt collections practices against Americans because debt buyers should be treated the same as original creditors (who have already written off the debt likely for good reason). This is a decision that is designed to further destroy what is left of America’s working class, just like Dred Scottwas a decision by the Supreme Court to institutionalize slavery of African Americans forever. Now both creditors and debt buyers can pursue ordinary Americans who were scammed into accepting credit from the 1%, who own most everything in the world. Tagged debt, DelBene, Scott Stafne for Congress, spiritual, United States, washington congressional district 1, Washington primary elections. « WHY DO AMERICANS CELEBRATE INDEPENDENCE DAY ON JULY 4 INSTEAD OF JULY 2?